So, you just bought a new Windows 10 device and you’re looking for some cool useful apps? 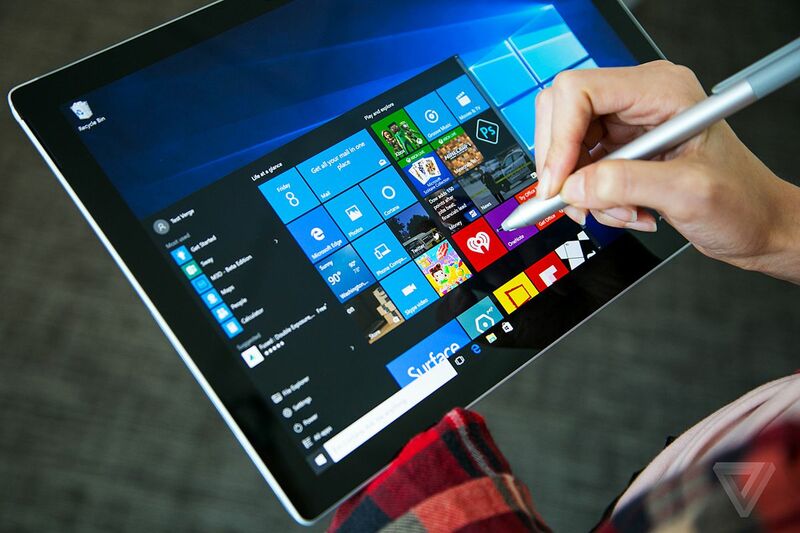 Many people are looking for ways to further improve the Windows 10 experience. If you want to work faster, smarter and even more productively, I’ve prepared you a list of some popular apps you can use daily on your device. These days, there are lots of music streaming services you can choose from with many new being offered on the market constantly. But there is one app that always comes to mind first and offers an incredible experience with plenty of choices. 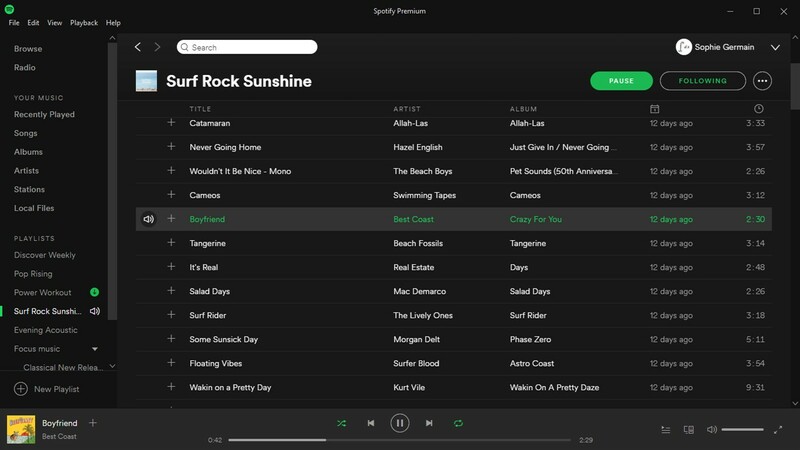 Spotify is for sure the coolest, easiest-to-use, and best music service around. It remains popular just because it has super-smart playlists, podcasts, and social sharing tools while keeping on track with its new features which are beyond doubt useful. Windows can create and open just basic archives. If you’re looking for more complicated tasks, 7-Zip is perfect for you. It is the ultimate free tool for zipping and unzipping file archives to help you extract compressed files and create your own compressed files in several different formats. It compresses and decompresses files and with the Internet, compressing files means they can be sent and received faster and important files can be encrypted and password protected. Reddit for many of us is one of the best apps for entertainment and knowledge. 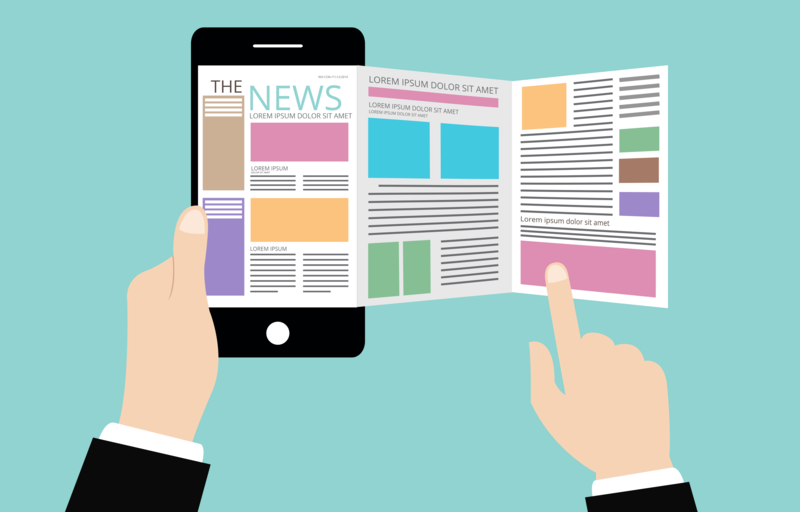 You can read about the latest gossips, watch some fun videos and even be part of a community with similar interests as yours. 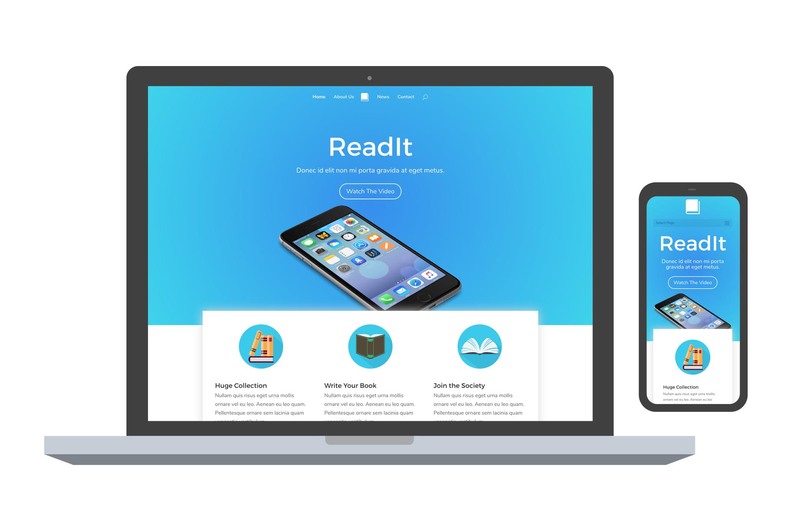 Readit is a beautiful Reddit application made for the Windows platform. This app is absolutely a good way to pass your time and socialize a bit. If you’re curious, install it now for free and have some fun. 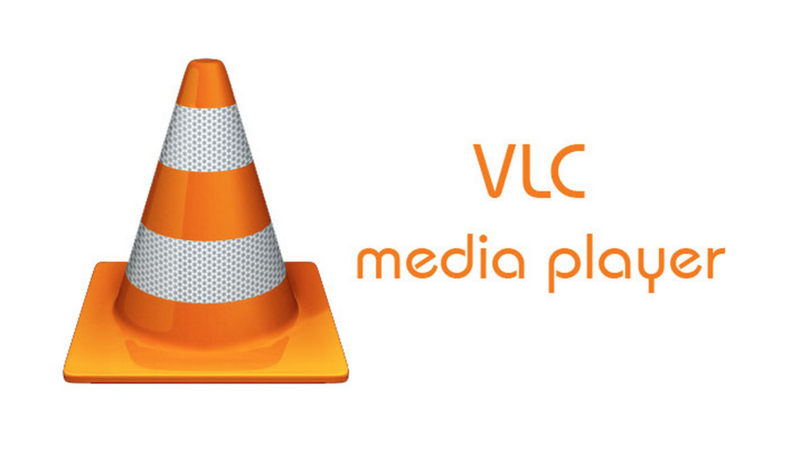 If you are finding some trouble for playing your favorite videos on a media player, caused by compatibility issues, then it is not a bad idea to try VLC. This free to use software tool is capable enough to play almost all popular video file formats while the rest can be easily converted. In case when other players don’t work, you can trust VLC. 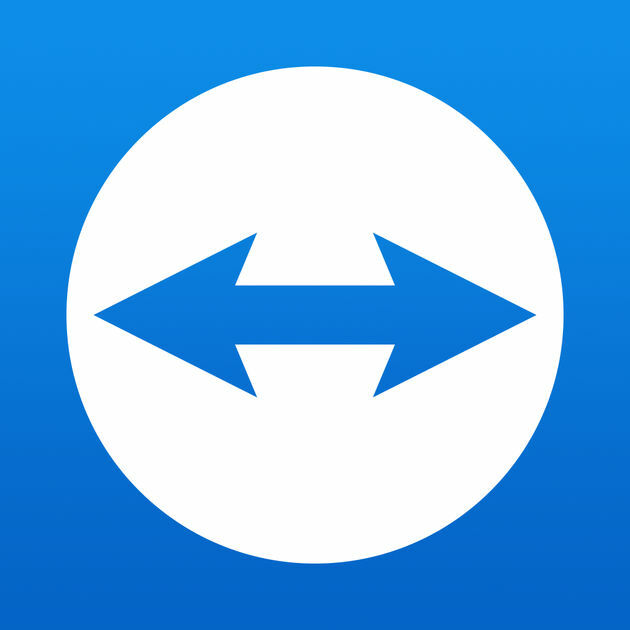 It works perfectly on Linux, Macintosh, and Windows platform. 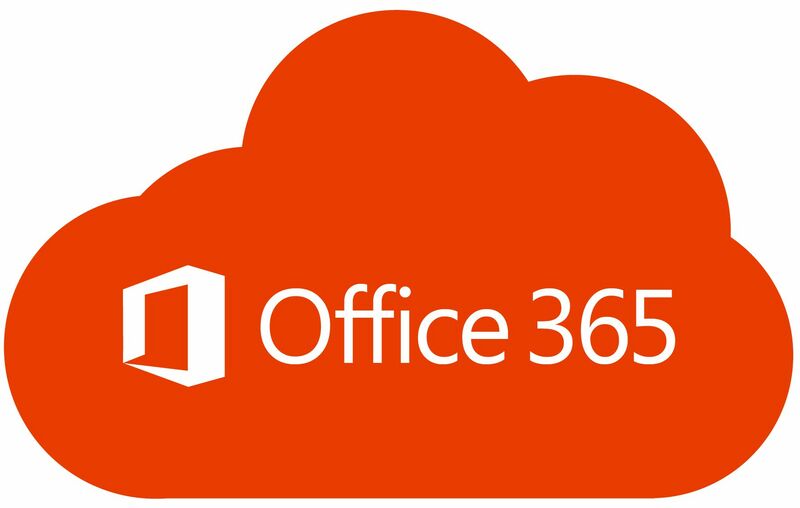 Office 365 gets you the best productivity software available today, including full installations of Word, Excel, PowerPoint, and more. It’s available for up to five Windows and Mac desktops. 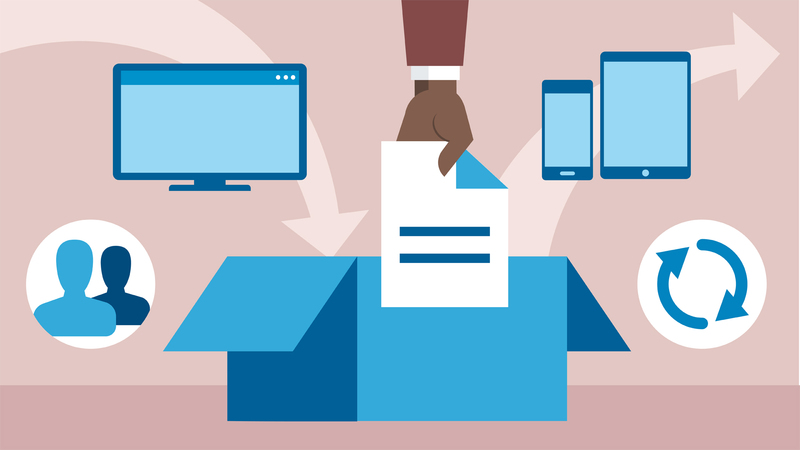 Dropbox is one of the simplest and easiest to use cloud storage services. You can install it simply everywhere and it gives you the possibility to access your information wherever you are. Dropbox is a convenient way for online storage but still, you have limited space if you don’t pay. Your free personal account stars with 2 GB free storage space. If you’ve just bought a new Windows 10 device or you’re simply not happy with your old PDF reader, this free PDF reader for Windows 10 is the perfect alternative. Not only is it able to perform all of the functions that a standard reader offers but it is still easy to use and is capable of opening huge PDF files in just a few seconds. This free package is ideal for both personal and commercial use. With Google Chrome you can browse on your smartphone or laptop really fast with an incredible ease. Google chrome a standard, easy to use browser that lets you do nearly everything. You can find pictures, visit websites, search by voice, go into incognito mode and easily read web pages in any language. Team Viewer is a software that shares your system desktop with another person’s in screen mirroring way. So when you give your ID and Password of Team Viewer(TV), other person can access your machine, can see your display that you can see as well, when he moves the cursor, you can see your cursor moving on your display, he can do anything on your system and you can see that. An interesting part is, as soon you close your TV, the connection gets closed and the other person won’t be able to access your computer until you activate TV again and give him the password. Note that the ID remains the same, whereas the password changes each time. Team Viewer is widely used. The more time we spend in front of the computer, the more our eyes suffer. As most of us stay in front of the PC and laptops for hours each day, we’re consistently damaging them. When you stare at a screen for hours at a time, whether it is a computer, TV, phone or tablet, you are exposing yourself to blue light from the device you’re using. can all help you be more productive, have good night’s sleep and be in better health. 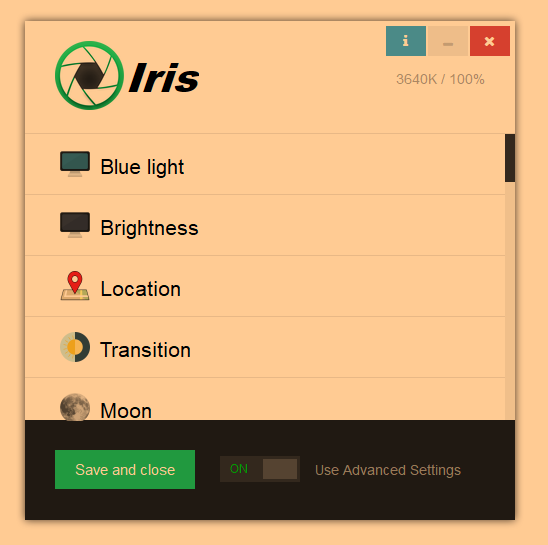 Iris is an app you can install no matter what Windows you are using. If you want to learn more about it click here and give it a go. if you’ve liked the content, I’ll be very grateful if you share it on the social media, so more people can get informed on the value they can get from their device.